Telstra has officially announced that the HTC 8X will be available to purchase from the 4th December on their network. The device will be initially available online, and hit stores by the 11th December. It will be available in Californian Blue and Graphite Black. The handset will also support Telstra’s 4G LTE network. The handset is also expected to hit Optus in early December for $0 upfront on the $35 Optus Plan (minimum total cost over 24 months is $840). 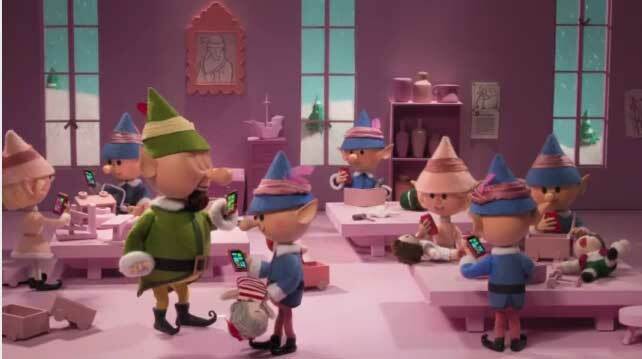 Microsoft has continued their Christmas-themed Windows Phone commercials, in this one concentrating on Live Tiles, and how it helps provide information at a glance to Santa, in particular that the number of good children has increased, and that toy production should also. Apply coupon code 1BBBZLJSCTPSS3 for extra $50 stackable savings on all models. 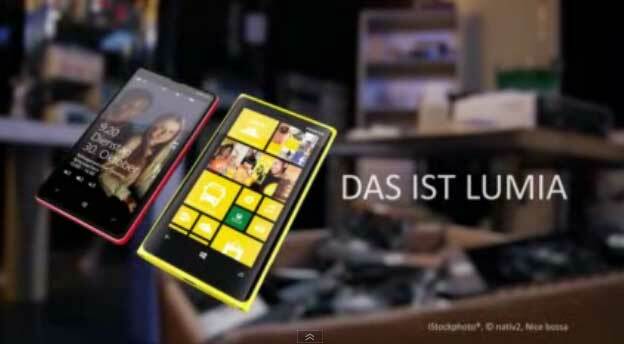 The iPhone 4S is pretty famous for its cracking front and back plate, and Nokia has decided to parody the device in their latest commercial for the Nokia Lumia 820 in Germany. Have to pack their smartphone in your cotton and protect against all odds, so that the touch screen is not going to break? 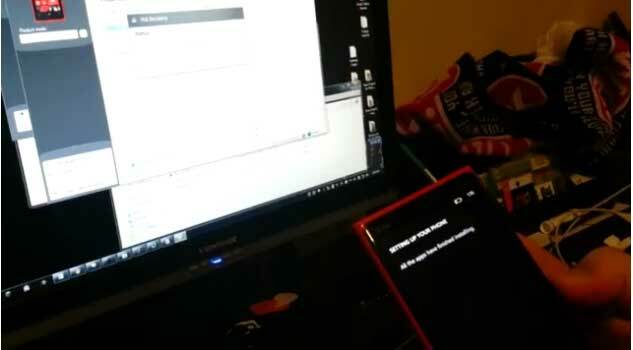 Well, we have something for you … looks at what the Nokia Lumia 820 in the”laboratory test” endure so everything! 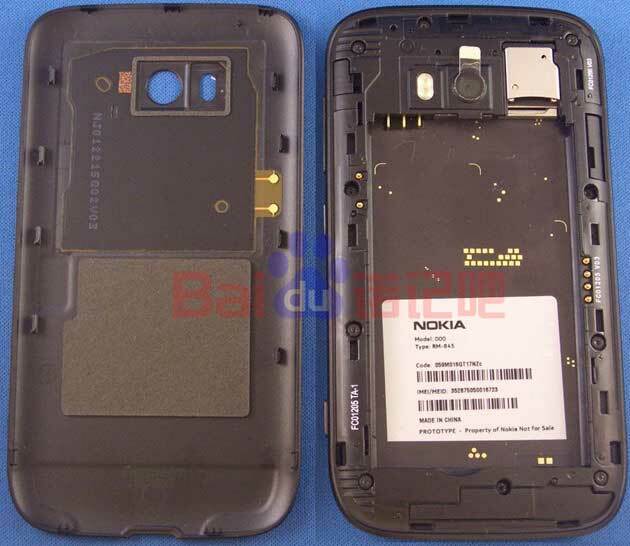 The Nokia Lumia 920 has been subjected to an impressive list of torture tests, and it seems Nokia wants the 820 to also inherit the reputation. The ban only applies to Galaxy products that run Android 2.2.1 and higher that don’t use Samsung’s proprietary photo gallery software, the Court of The Hague ruled on Wednesday. Apple patented a way to scroll past the edge of a zoomed-in photo and see a glimpse of the next in a series of images, after which the initial photo bounces back onto the screen, a technique that Samsung has used in its Galaxy products. Samsung’s proprietary photo gallery software replaces that bounce-back feature with a “blue flash” that illuminates the edge of the image. The argument raised by Samsung at the hearing that Samsung Benelux does not sell the infringing products any more, cannot lead to a rejection of the ban,” wrote judge Peter Blok, who presided over the panel of three judges in the verdict. Blok said he would grant the ban because Samsung refused to sign a declaration of abstinence committing to not infringing the patent. If Samsung continues to infringe on the patent, it has to pay Apple a penalty of 100,000 euros (US$129,000) for every day it violates the ban, the court ruled. The Meizu MX2 has become official today, just as previously expected. The device comes with a new MX5S chipset with four 32nm Cortex-A9 CPU cores, 2 GB worth of RAM, a 4.4" screen of WXGA resolution (1280 x 800 pixels) with the impressive ~347 ppi density. 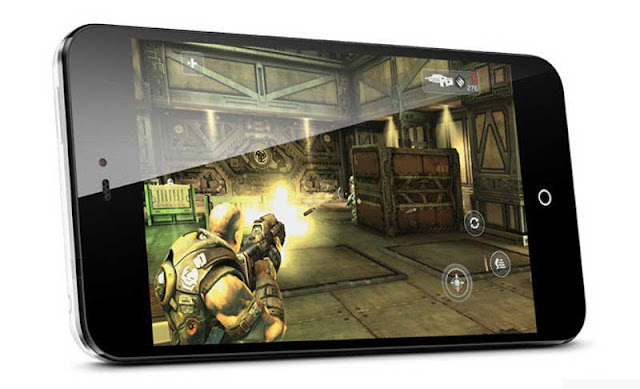 There's also a faster GPU and Flyme 2.0 on top of Android Jelly Bean on board. 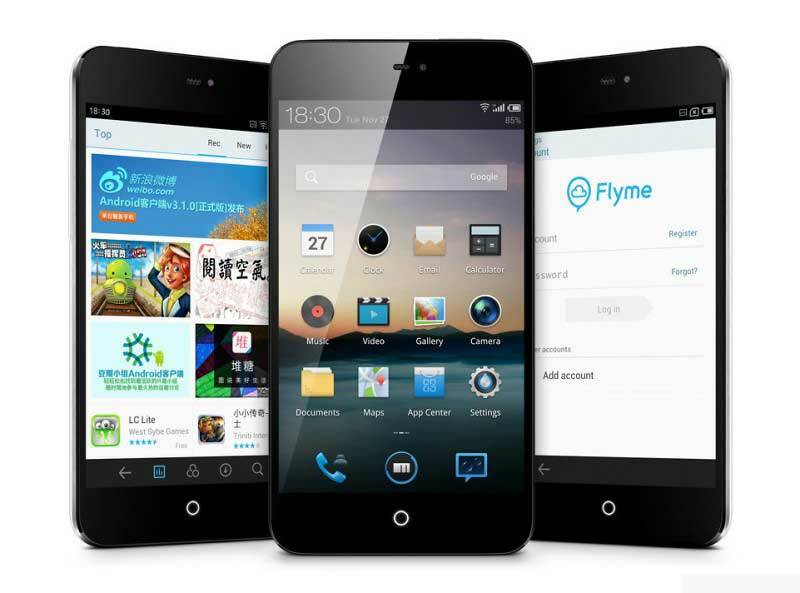 The Meizu MX2 has borrowed many design cues from its predecessor's, but instead of a physical home button there is a capacitive one this time. The display on the Meizu MX2 has really thin bezels around it (3.15 mm), giving the smartphone an even more impressive look. The breakneck pace of change in the smartphone world is well known: Since the iPhone catalyzed popular demand in 2007, development has been moving faster and faster, to the point where devices are out of date mere months after their release. However, this wasn’t always the case. In fact, according to some estimates, the smartphone is actually all of 20 years old, as of last Friday. 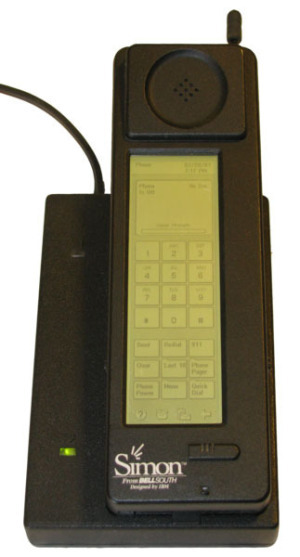 The IBM Simon was rolled out on Nov. 23, 1992, at Comdex, though it was code-named “Angler” at the time. You likely couldn’t have fit it in your pocket, given that it was about the size of today’s Nexus 7, but then, at 18 ounces in weight, it probably would’ve made you walk funny anyway. It sported a 16MHz processor, 1MB of memory and 1MB of storage. Its operating system was a variant of DOS. Its external app ecosystem consisted of exactly one program—a PC-to-Simon texting tool called DispatchIt, which cost $3000 for the PC software and an additional $300 for every Simon client. To be fair, however, it could do some things modern smartphones can’t, like accept fax transmissions. As primitive as Simon looks today, however, it was still recognizably a smartphone—it used an app drawer, had touch-screen input (admittedly, in monochrome and with a stylus) and was even sold via the same subsidized pricing scheme commonly used today, at $900 with a new two-year deal from BellSouth Cellular. Unfortunately, Simon wasn’t a commercial success—according to Bloomberg, it was plagued by half-hearted marketing, short battery life and a host of other problems, and spent a total of six months on the market before being yanked. Still, despite all that, Simon was undeniably the forerunner of today’s smartphones. What’s more, it’s a great reminder of how far the technology has come in two decades, and how fast it continues to develop. Just think of Simon the next time you complain that iOS 6 is terrible or that you haven’t gotten an Android update for a whole month. In case you didn’t know, it is possible to see the signal strength indicator in numbers instead of signal bars on any iPhone (except the original iPhone) without jailbreaking it and it’s reversible. 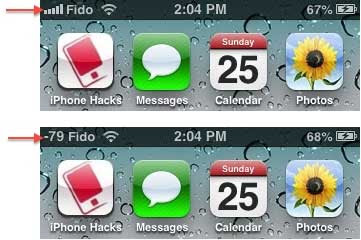 It has been one of the old hidden features that works on the iPhone running iOS 4.1 or later. It’s a lot more useful to see the signal strength indicator as a number [in decibels(dBm)] rather than as a signal bar (after we explain how to read the number a little bit later). The trick is to enter the Field Test mode on the iPhone and use the trick to force quit an app to exit it. That’s it. You’ll notice that the signal strength indicator continues to be displayed as a number. You can now tap on the indicator to toggle between the signal strength bar and number. You can revert the changes by restarting your iPhone entering the field test mode again and exiting the app as you do normally. 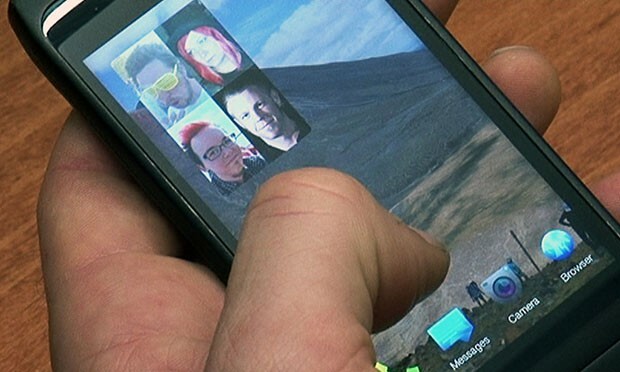 Samsung has announced that sales of the new Samsung Galaxy Note 2 have topped the five million mark just two months after the device went on sale in regions around the globe. Sales should not slow down either as the Verizon model of the Galaxy Note 2, maybe the most sought after variant of the device in the United States is set to debut in just a few short days. The announcement comes courtesy of Samsung itself who says worldwide sales of its new 5.5-inch Galaxy Note 2 phablet have exceeded 5 million sales, passing the three million mark record that the original Galaxy Note set back when it was released last year. 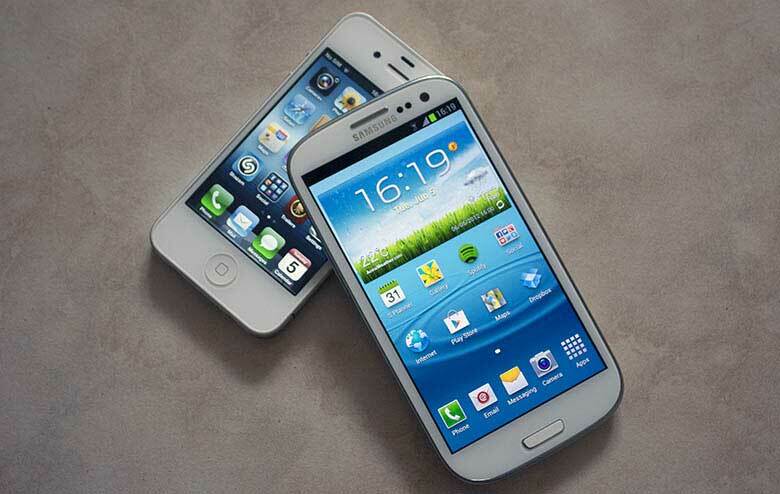 Samsung’s feat comes shortly after it announced that the Galaxy Note 2 had topped three million in sales. The new figure was likely buoyed by the Galaxy Note 2 launch on AT&T earlier this month and its previous launches on Sprint, T-Mobile and U.S. Cellular. It also likely has been bolstered by the fact that the device was available ahead of Black Friday and Cyber Monday. Verizon has yet to announce a release date for the Galaxy Note 2 though pre-orders are expected to ship out tomorrow with a full-on release taking place on November 29th. Thus far, the carrier remains mum about any specifics though we expect it to detail the device’s details tomorrow. The carrier boasts the largest 4G LTE network, the network that the Galaxy Note 2 runs on, which should make for a few more sales. Verizon’s 4G LTE network now has over 400 markets in the U.S., far larger than AT&T’s network which has slightly over 100. The Galaxy Note 2 is Samsung’s sequel to the original Galaxy Note phablet which met great success last year when it launched amidst skepticism. Many wondered whether a smartphone with this large of a display could succeed. The Galaxy Note went on to sell more than 10 million units worldwide. The Galaxy Note 2 looks poised to shatter that mark. Samsung has published a detailed video highlighting all the new features that will come with the Android 4.1 upgrade on the Galaxy Note 10.1. The Premium Suite upgrade that is available in Germany and will soon be rolled out in many regions will have features like improved S Pen and S Note app, Multi Window, Air View, Easy Clip and lots more. 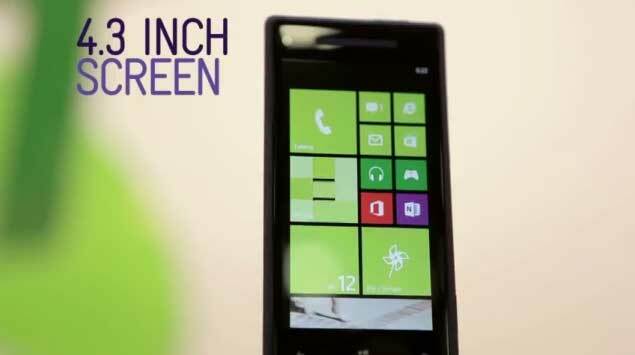 The above video shows a brief demo of Windows Phone 7.8 on the Nokia Lumia 510, released in China recently. The update of course brings the new start screen, but also new accent colours, Bing lock screen wallpaper, and on Nokia handsets SMS drafts and the ability to keep WIFI active when the device is suspended. There are also rumours of the ability to send files via Bluetooth File Transfer, unfortunately not demonstrated. The update is currently rumoured for release in the next few weeks. 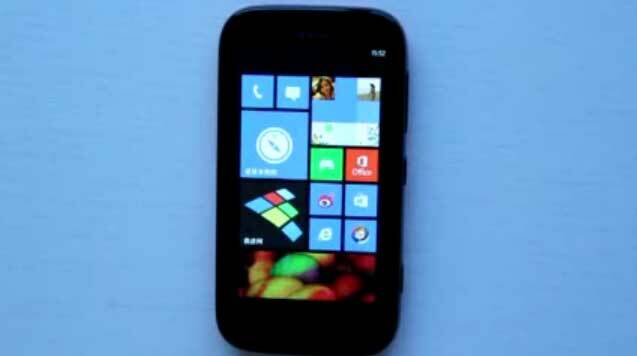 Huawei Ascend W1 feaures a dual-core Snapdaragon S4 hardware configuration and is running the latest iteration of the OS from Microsoft – Windows Phone. While expecting the handset to be available for just $200, we can’t overlook the rather dissapointing 480 x 800 pixels resolution, for the 4.0 inches display. It is apparently the only major downside of the smartphone. 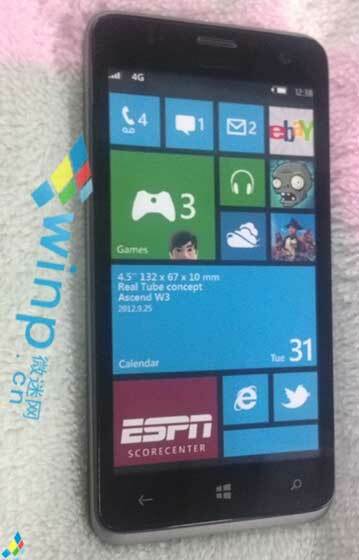 The Chinese version of the Nokia Lumia 920, the TD-LTE and TD-SCDMA 920T, has once again been leaked on camera. The handset is essentially the same externally as the NL 920, but internally is said to feature the upgraded Adreno 320 GPU with up to 3 times the performance of the current chipset. some pictures have however leaked of a prototype device with the normal GPU, so this change is certainly not written in stone. The handset is destined for China Mobile and may get there before the before Apple finally negotiates an agreement with the giant Chinese carrier. 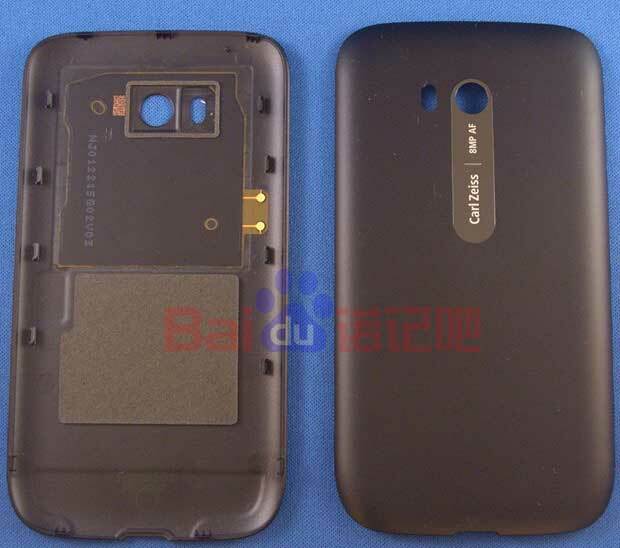 See more pictures after the break.The Chinese version of the Nokia Lumia 920, the TD-LTE and TD-SCDMA 920T, has once again been leaked on camera. 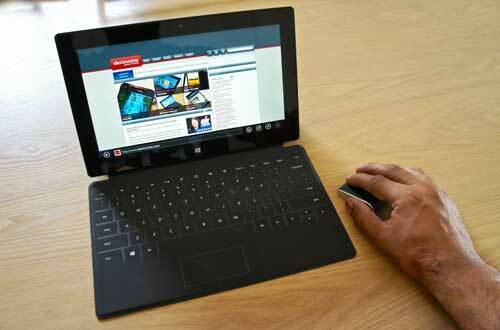 You know what the Microsoft Surface tablet has that the iPad doesn't? Everyone who answered "a full-sized USB port" deserves a thumbs-up! 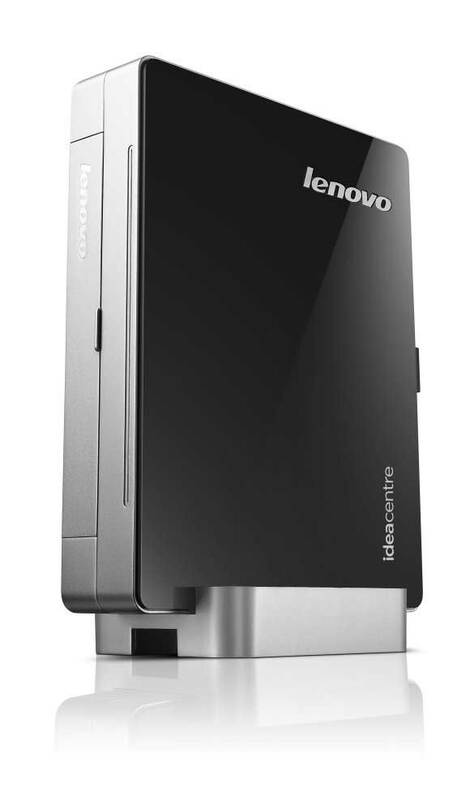 That notable feature lets the owner connect a USB thumb drive to the device or even hook up a keyboard and a mouse with the help of a USB hub. Yet the guys at Channel Metro decided to take things to the next level and have some fun along the way. While checking out their Microsoft Surface tablet, they connected not one, not two, but 7 different gadgets to the device! Actually, there were a total of 8 gadgets hooked up to the tablet, if we take the 7-port USB hub they used into account. The rest were a 2TB external hard drive, an HP printer, an iPod, a Nokia X3-02, an XBOX 360 controller, a 2GB USB thumb drive, and the receiver for a wireless mouse. Check out the video below if you want to see the Microsoft Surface in action while listening to tech jargon in Italian! About three months after we first told you about its existence, Archos’ Arnova-branded FamilyPad has finally been officially announced by the French company. In case the branding is confusing to you, know that Arnova is Archos’ even lower-cost brand, used for tablets that come with lower-end specs than those which get to use the Archos brand itself. 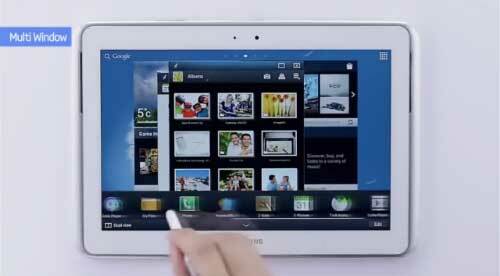 The FamilyPad’s main, and dare we say it most intriguing feature is that it comes with a 13.3-inch touchscreen. Thankfully, the retail package also includes the quick stand you can see in the second image below, making operating the huge tablet less of a pain we assume. The screen sadly isn’t very high-res, at ‘just’ 1,280×800 resolution. 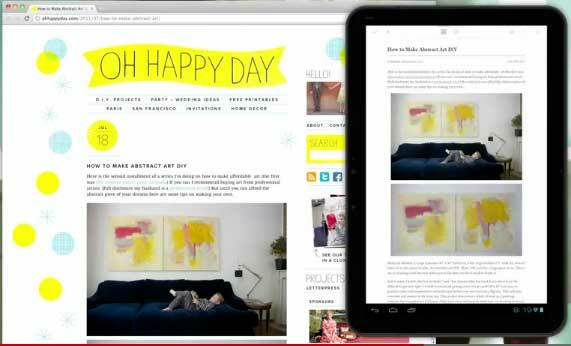 That compares very badly to, say, the Samsung-made Google Nexus 10 and its 10-inch 2,560×1,600 unit. Then again, perhaps the FamilyPad’s target market won’t be very disappointed about that. Video watching is surely one of the big use cases that Archos thought about when designing the FamilyPad. Granted, because of its size, it’s a tablet that’s a lot easier to ‘share’ with family members or friends, and it’s a lot less ‘personal’ – you hardly have any privacy while using it, so it looks like Archos was mainly aiming at people using the FamilyPad together – at the same time even, playing board games, sharing pictures, or connecting to social networks. The FamilyPad comes with a single-core 1 GHz processor, 1 GB of RAM, 8 GB of built-in storage expandable via microSD slot, two 2 MP cameras (one on the front, one on the back), Wi-Fi, HDMI out, microUSB, and a 3.5 mm headset jack. It runs Android 4.0 Ice Cream Sandwich. 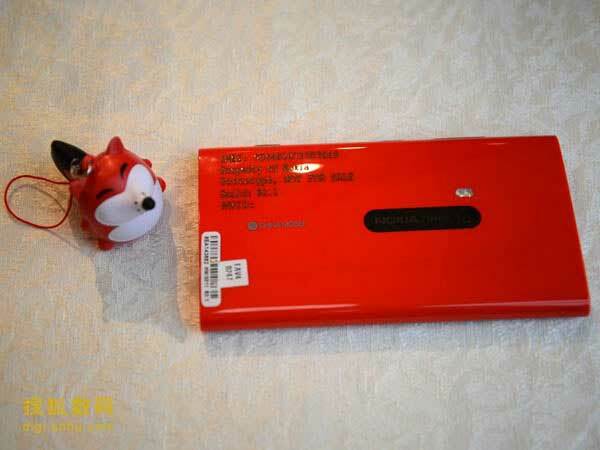 Its dimensions are 262x171x12.5 mm, and it weighs 1.3 kg. The battery is rated at 10 hours of video playback time, but the exact capacity isn’t known yet. 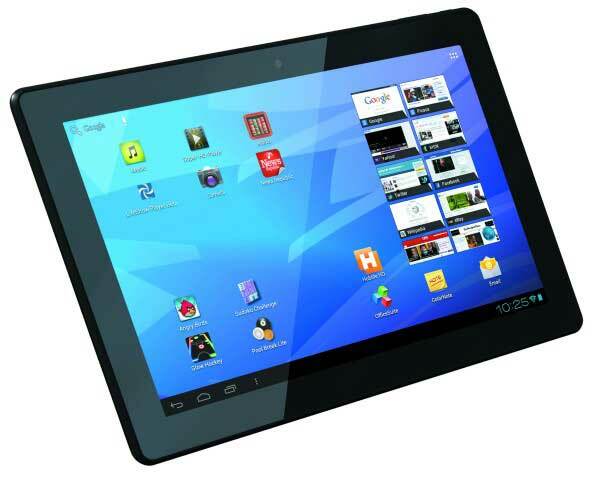 The Arnova FamilyPad will become available in the UK sometime in December for £274.99. As is usually the case with Archos products, expect the tablet to be out in the rest of the big European markets around the same time, for around the same price. There’s no word yet on a possible release in the US and/or Canada, but we’ll let you know if we find out more. The FamilyPad will certainly be laughed off by many as ‘too huge’ from the get-go. However, let’s not forget that the original Samsung Galaxy Note got the same treatment, and went on to become one of the Korean company’s best selling mobile devices. So perhaps bigger is always better in the mobile space after all. The thing is, we’ll never know if this applies to tablets. At least we won’t find out because of the Arnova FamilyPad. It’s a nice effort, but it’s a grossly underpowered tablet for this day and age, and it runs a pretty old version of Android. So if people don’t buy it in droves (and they won’t), don’t blame that on its size. 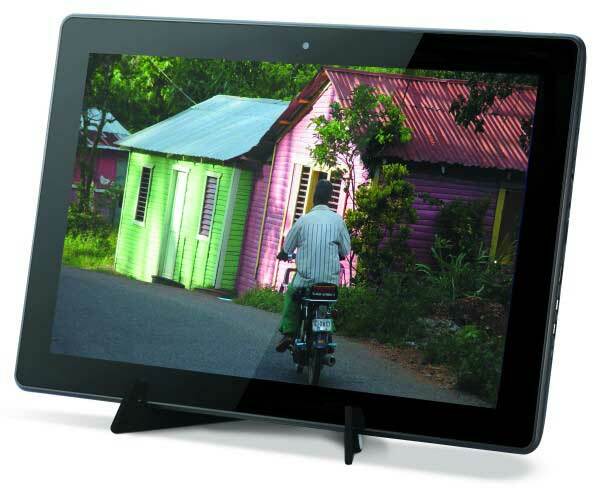 We’re still waiting for some manufacturer to push out a really top-spec 13-inch tablet. Then, and only then, will we be able to tell if this size has any future. 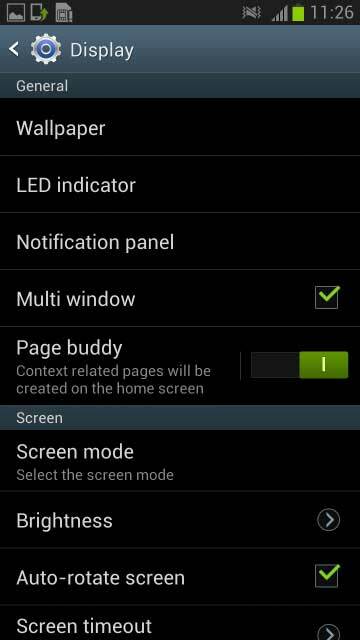 Click the PDA button in Odin and browse to open the N7100XXDLJ2.tar.md5,Do not make any other changes in Odin and make sure the Re-Partition option is not selected. Now press the start button to begin the flashing of firmware,when the flashing is complete your phone will automatically reboot,plus, you’ll get a PASS message (with green background) in the left-most box at the very top of Odin. Our very own Lucas was affected by a bricked Nokia Lumia 920, and was forced to return it, and due to the shortage of NL 920s in Germany is currently Windows Phone 8-free. 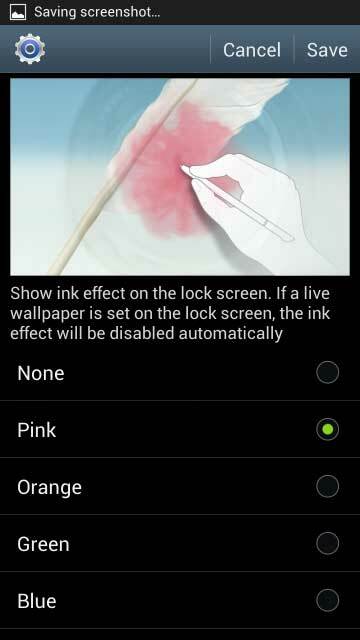 If you are in the same situation there is now a way to rescue your handset by flashing it with new firmware. The process is shown in the video above,and described in the text after the break. 2. 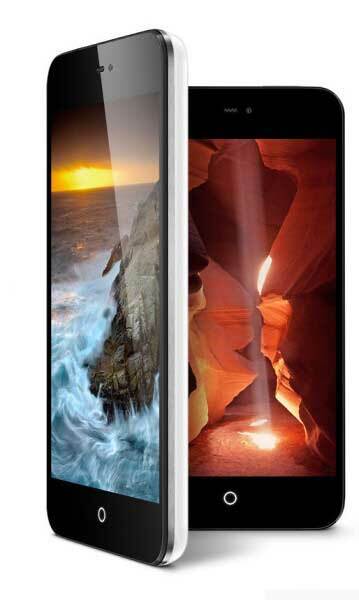 Under Products window scroll down to Nokia Lumia 920 (RM-820) *AT&T Only!!! 7. Wait for ALL the files to completely download, the FFU file will be 1.02GB in size. 14. Copy the entire folder contents and paste it into the C:\ProgramData\Nokia\Packages\Products\rm-820\ directory. 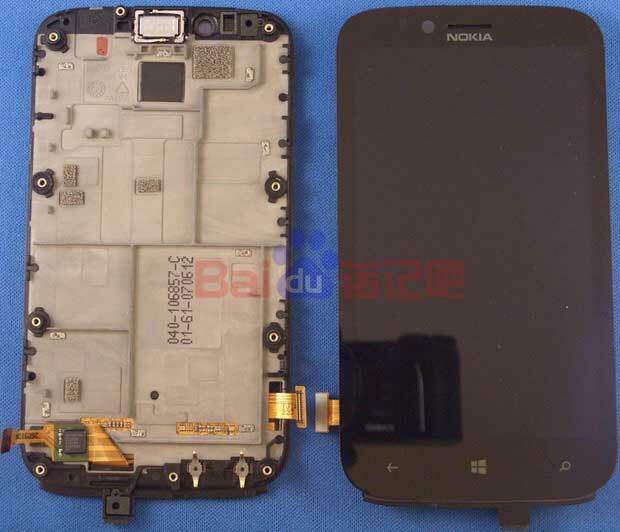 Chinese forum Tieba for some reason managed to get their hands on a Verizon Nokia Lumia 822 and of course promptly decided to disassemble the device. 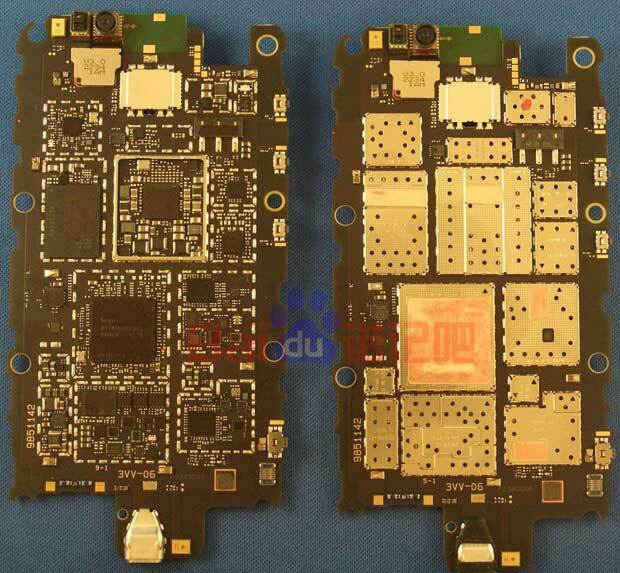 The tear down shows the rather plasticky construction of the device, and also reveals the location of the wireless charging coil and NFC sensor. See the pictures after the break. Drop tests are always fun and exciting to watch. And even if there's something inside us that subconsciously tells us that destroying expensive smartphones on purpose is wrong, we always end up watching yet another one starring this latest and greatest device. Well, here we are again, this time with a video of the LG Nexus 4 being dropped onto the cold, hard pavement. 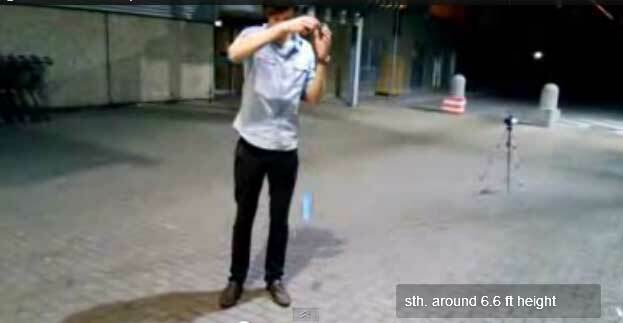 The guys from the video show us two drops - the first one simulating a drop from the pocket, and the second one from the ear. Thankfully, the handset remained almost perfect after the first drop, with no significant scratches to ruin its fancy glass panels. However, the second, higher drop cause severe damage to the back panel. As you know, both the front and back of the Nexus 4 are make of glass, which contributes to the feel of the handset, but allows for easier shattering. That's what happened with the Google Nexus 4 after the second drop in this video. Still, whether due to a stronger glass, or just luck, the front side remained undamaged, and the touchscreen and phone itself were perfectly usable. This drop test comes to show us that LG has done a good job with the construction of the Nexus 4, as it is capable of surviving the ordinary everyday hits of life, though it's definitely not in rugged territory with those large glass surfaces. And here's the video in question. Unfortunately, the guy talks in German, but it's one of those videos where you don't need to understand what's being said to know what's going on. 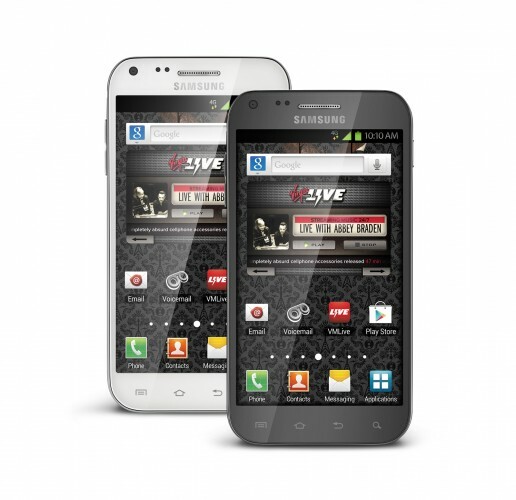 Virgin Mobile has announced that its customers can now get their hands on the Galaxy S II 4G, the predecessor to the wildly popular Galaxy S III smartphone. With this new addition, users can finally get 4G access on the Virgin Mobile network starting at $35 per month. This comes after repeat requests from users who asked for better phone options, as well as 4G. The Galaxy S II 4G is now available in Titanium in addition to white. The handset is priced at $369.99, and can be used as a mobile hotspot for an additional $15 per month. You can nab the Virgin Mobile version of the Galaxy S II 4G from the carrier itself or from a retail store; you’ll have to head over to Radio Shack, however, if you want the Titanium version. 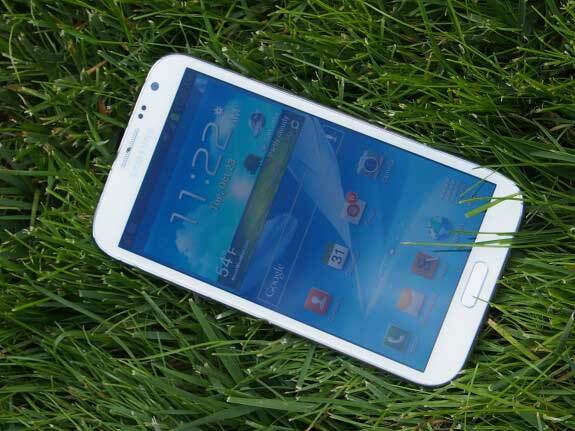 The Galaxy S II 4G features a 4.52-inch Super AMOLED Plus display. Inside you’ll find a 1.2GHz dual-core Exynos processor. 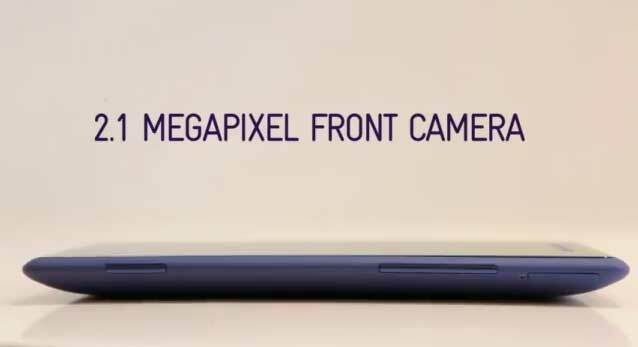 There’s an 8-megapixel rear camera and a 2-megapixel front camera, as well as a microSD card expansion slot that supports up to 32GB. The handset features Bluetooth 3.0 and runs Android 4.0 Ice Cream Sandwich. While the humble touchscreen has become the standard interface for most smartphones, and capacitive displays make it a painless experience, the folk at start-up Qeexo think things could still be improved. 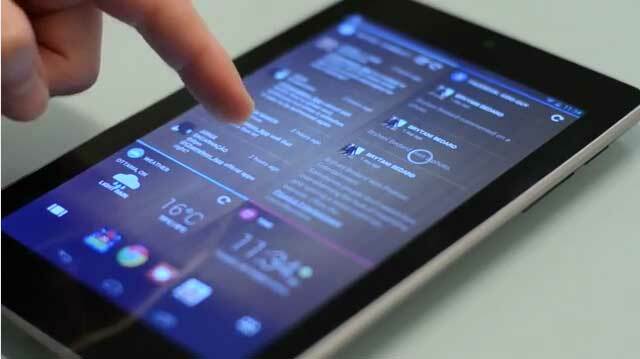 It's developed a technology called FingerSense that could add even more functionality. Essentially, by using a small acoustic sensor, it measures the vibrations as objects tap the screen, and can tell the difference between them. 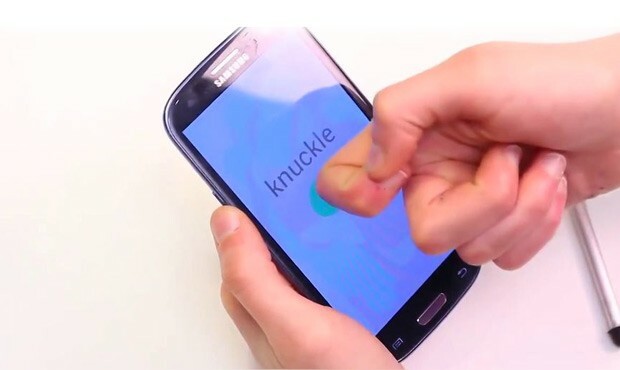 So, for example, a knuckle tap could be used for "right-click." 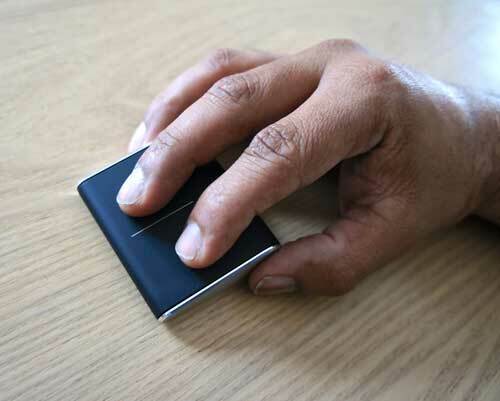 The tech is able to spot the difference between materials, too, so even when no finger is involved, it can register input, a great assistance to those with longer fingernails. The fun doesn't stop there, though, with the demo video after the break showing a Galaxy SIII with a modified display, able to register stylus input, even without official support for it. More input options can never be a bad thing, and if nothing else, it could certainly make those GarageBand drumming sessions a little more interesting. 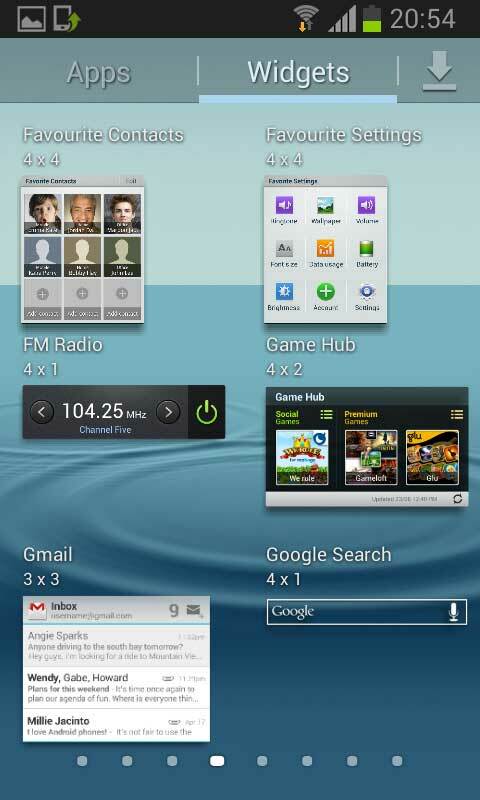 I9100XXLSJ Android 4.1.2 Jelly Bean for Samsung Galaxy SII has been leaked.This version is nearly perfect and stable and it will be officially released by Samsung very soon. Click the PDA button in Odin and browse to open the CODE_I9100XXLSJ.tar,Do not make any other changes in Odin and make sure the Re-Partition option is not selected. Click the phone button in Odin and browse to open the MODEM_I9100XXLS6.tar,Do not make any other changes in Odin and make sure the Re-Partition option is not selected. Click the CSC button in Odin and browse to open the CSC_HOME_OXX_I9100OXXLS1.tar,Do not make any other changes in Odin and make sure the Re-Partition option is not selected. Hitting store shelves just ahead of the Windows 8 launch, the new Microsoft Wedge Touch Mouse ($70) has been designed to accompany the raft of new and upcoming Windows 8 touch-based tablets. However, it will also work just as happily with Android tablets as well as Apple’s Mac computers pairing over Bluetooth. Electronista has had some hands on time with the Wedge Touch Mouse using it with the Microsoft Surface RT tablet we recently reviewed. 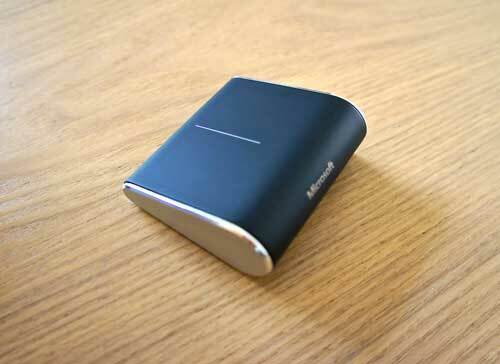 For users on the go, the Microsoft Wedge Touch Mouse will prove a tempting option. 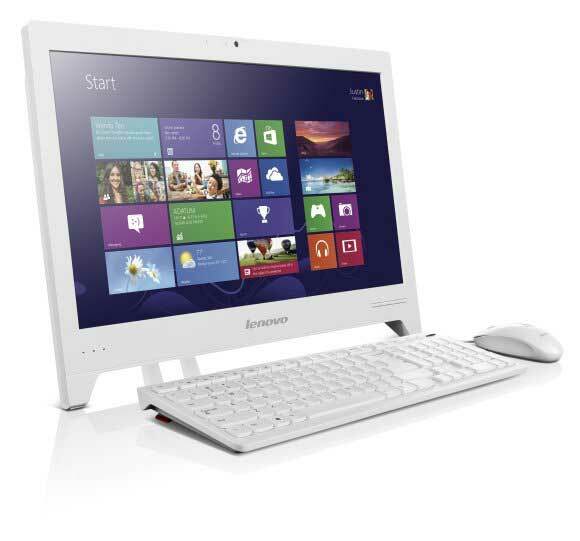 It is very, very small, making it an ideal fit for users looking for more precise input control with their Windows 8-based tablet PC. The device weighs just 2.08 ounces and measures just 2.39-inches wide and 2.11-inches long. When you first look at it, you find yourself wondering which way it is meant to face and how it is to be used as it is quite a unique looking mouse. You won’t go wrong if you have the Micorsoft name facing towards you, with the pointy side facing away from you. It is best held between your thumb and third finger so that you can easily left and right click with your index and second finger. It is a well-made device and comes in rather elaborate, premium packaging that is much larger than the device itself. It also ships with one Duracell AA battery to get you going out of the box. We had no trouble setting it up to pair with our Surface RT tablet and found it to be very functional despite its compact size. Although we also paired it to our Mac very easily as well, it is much better suited for use on the go and we wouldn’t recommend buyers choose it as their regular desktop mouse. Further, it didn’t work well with the inertia scrolling function in Mac OS X either, although it scrolled perfectly well otherwise. However, when paired with the Surface RT tablet, it worked very well, allowing you to scroll up and down through documents in Desktop mode, as well as left and right in tablet mode using only touch inputs. As we noted in our review of the Surface RT, the standard Touch Cover is not great for typing on for any length of time, nor is its built-in mouse particularly helpful or enjoyable to use. Although Office for Windows RT has been given a touch-input workover, it still benefits greatly from being connected to a mouse. We found using the Wedge Touch Mouse much easier to navigate around a Word document, for example, than using either touch screen inputs or using the Touch Cover trackpad. 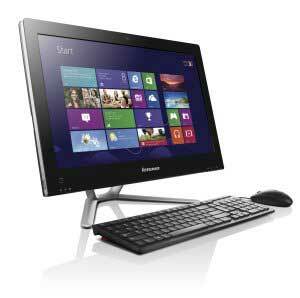 Its compact size works well in cubicles in libraries or in cramped office spaces. However, when using it on surfaces that are not completely smooth and flat, it can get caught up and roll upwards, the result of its curved back. On a flat smooth surface, however, it tracks quickly and accurately thanks to its BlueTrack technology. For users looking for a well-made and ultra-compact mouse for use on the go, which supports Windows 8, the Wedge Touch Mouse is well-suited to its purpose. As a result of its small size and lightweight, it can become slightly uncomfortable to use for extended periods in a typical desktop context. It is, however, a very good companion for users who want the benefits of mouse control with their Windows 8 tablets on the go as it can easily be tossed into a backpack or brief case. An added benefit is that it will go into a low-power sleep mode when not in use, meaning you don’t have to worry about turning it off and re-pairing it each time you want to use it. If you ever wanted to try out that innovative Android tablet launcher Chameleon, now is the time. The price just got slashed to $3.99 from $9.99, which, apparently seemed a lot to many, as app prices go these days, regardless of how much developer effort went into creating it. 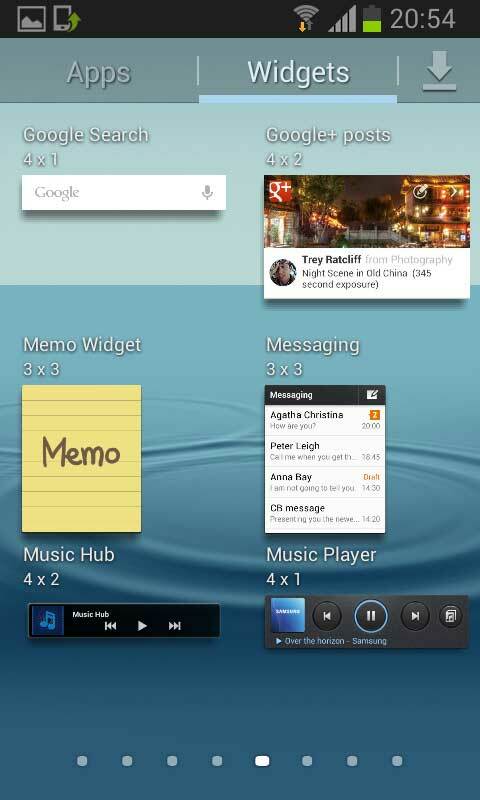 The widget-based launcher makes the most out of the larger screen real estate on Android tablets, and is somewhat of a playground what can be done with the interface there. Google is certainly starting to focus more on its tablet proposition, recently asking developers to step it up, in light of the affordable Nexus slates it came up with, the Nexus 7, and the high-res Nexus 10, aiming to expand the tablet ecosystem through low prices, as it can hardly compete with the iPad on the number of tablet-oriented apps right now. The original Chameleon project backers paid ten bucks on Kickstarter to keep it moving, so they might feel a bit irked now that the price is four, but should find some solace knowing that their sacrifice is for the greater good. 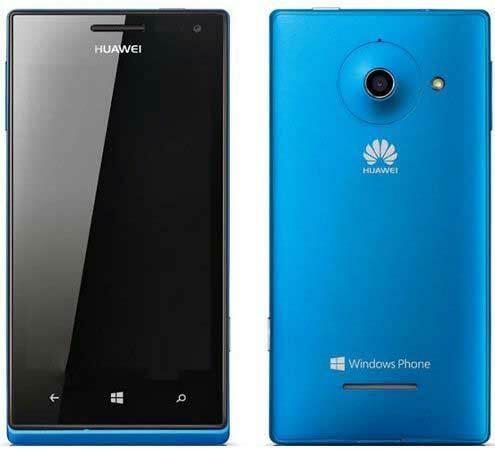 It looks like Huawei’s Windows Phone 8-related plans are similar to those of Nokia and HTC – which have introduced two WP8 handsets each (a high-end model, and a more affordable one). 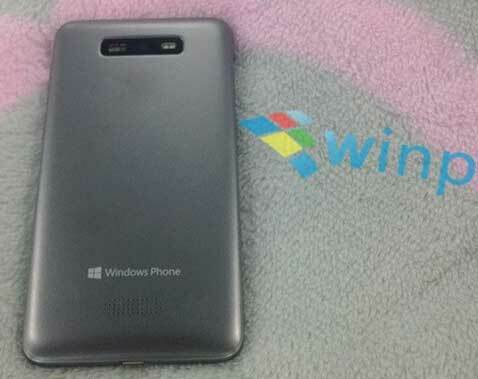 We’ve already seen Huawei’s Ascend W1, which should be its affordable Windows Phone 8 device. 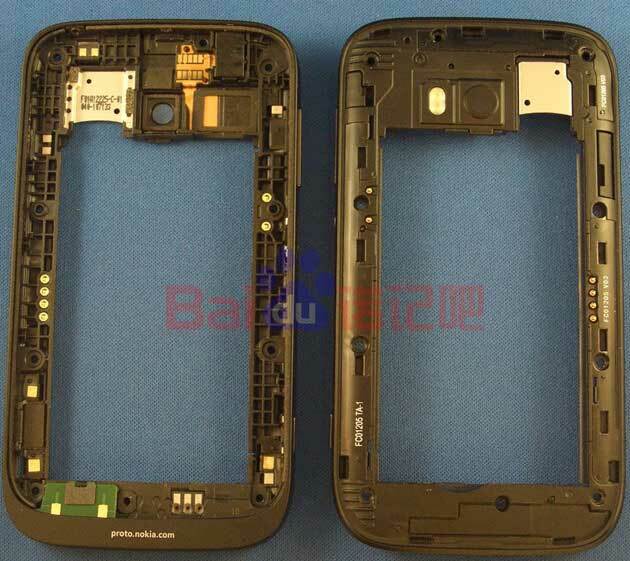 And now photos of an alleged Huawei W2 have showed up. 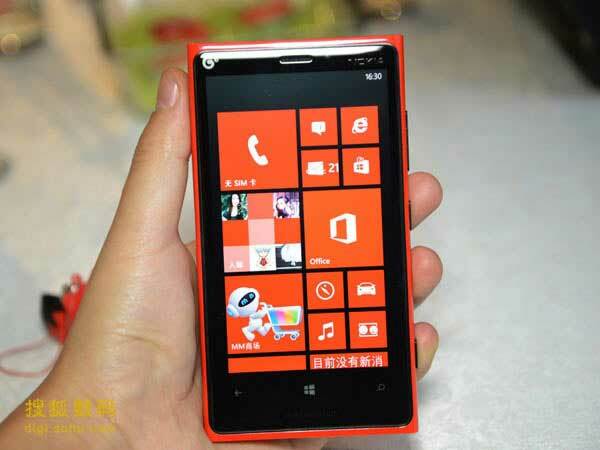 The W2 seems to be Huawei’s flagship WP8 handset. It certainly looks high-end, and we can see it has an 8MP rear camera with dual LED flash. Unfortunately, the rest of its features are not known. But I assume the display is an HD one, and its processor a dual core unit. The W1 is expected to be officially announced at CES 2013 in January, so the W2 might be unveiled then, too. While Huawei will launch the W1 for around $300, the W2 is definitely going to be more expensive. It remains to be seen just how expensive. 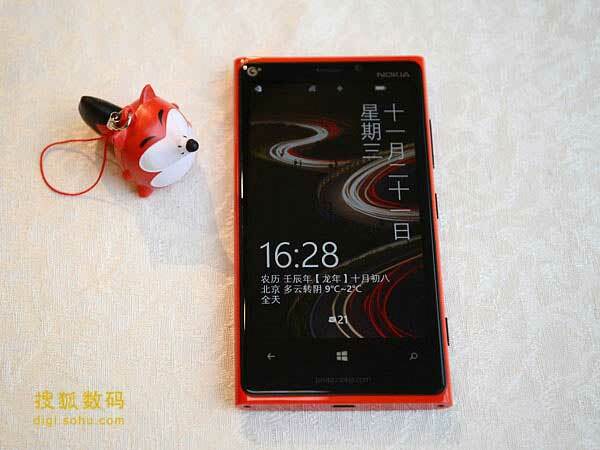 In other WP news from China, the Nokia Lumia 920T has been spotted bearing China Mobile’s logo. This reconfirms that the largest Chinese mobile carrier (which is also the largest in the world in terms of subscribers) should release the 920T soon. 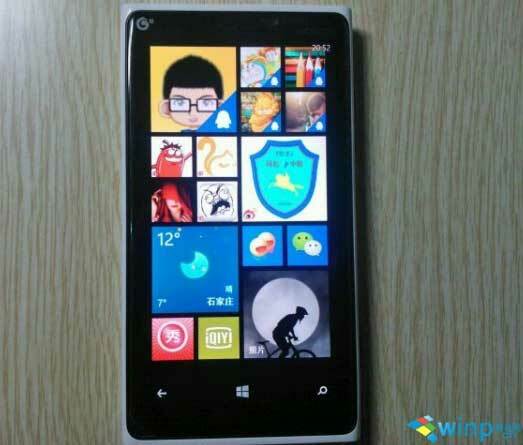 We’ve previously heard that the Lumia 920T would arrive at China Mobile before the end o November. The handset is similar to the 920 that’s being sold internationally, but comes with TD-LTE support, and enhanced Adreno 320 graphics. Google is striving hard to create its own niche in the Chromebook gadgets market. Priced at $199 it is available in the market right now. Google has been consistently insisting on the Chromebook operating system, and with Samsung, its attempt has become successful. The Samsung Chromebook is available in $249, but the Acer Chromebook has given it a strong competition with $199. Apart from this to get hold of the market even more, the Acer C7 Chromebook is giving fascinating goodies away. 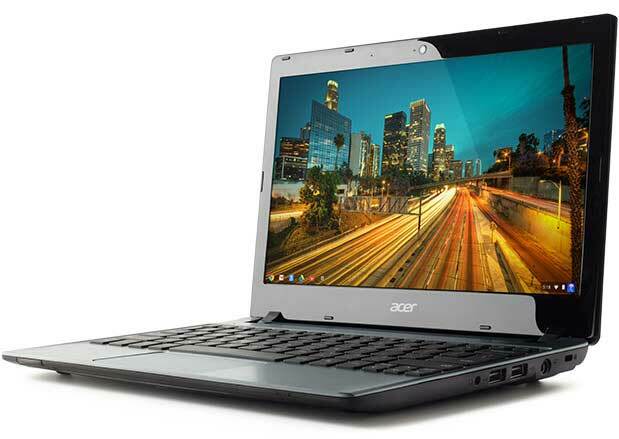 Weighing only 3.05 pounds the Acer C8 Chromebook is only an inch in thickness. 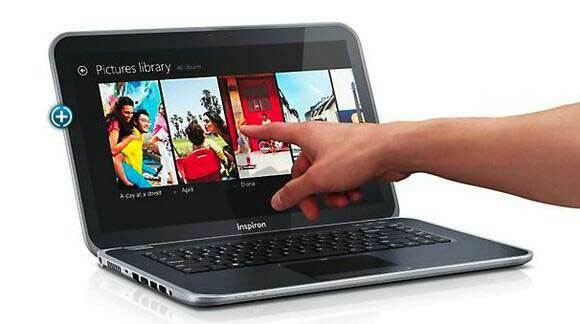 It has a sleek ultrathin appearance with an advanced Celeron processor from Intel. It is intriguing to note that the hard drive has a memory of 320GB along with 8 GB of memory. Google is giving 100 GB of free storage space in the cloud if you purchase it right now. It is also giving 12 Gogo internet pass free of cost. Google Play Store, Currys, PC World and Amazon UK are the places where you can look for your own Acer C7 Chromebook. Therefore, isn’t these offers worth paying for!